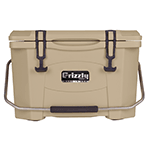 Most of the articles and reviews we do on here are written somewhat seriously because, after all, our goal is to help folks save money by picking out the best coolers and ice chests they can. 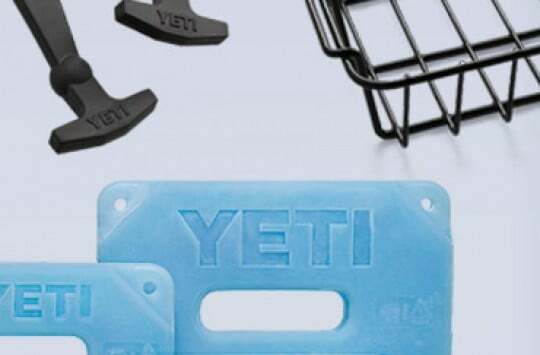 For high-end products like YETI, this involves scouring over tons of little details involving features, construction, etc. We enjoy doing it, of course, but we do admit it sometimes gets a little tedious. That’s why we absolutely love getting the chance to talk about something fun and hilarious like cooler tubes. We honestly have no idea who came up with them, but we imagine whoever it was they were quite the party animal, and they had most definitely played the game Wizard Staff before. In any regard, these things (also called tube coolers) are probably the quirkiest, most clever, and definitely the most fun products we’ve seen to hit the cooler market since, well, since ever. We’ve had the pleasure of checking out several different newly-released ones recently, and were able to painstakingly come up with the list below of the top 3 best cooler tubes out there. If there’s a more fun or more or more hilarious way to carry your beers (and keep them cold) than slinging them over your shoulder in a Robin Hood style bow and arrow quiver, we’d like to see it. Let’s face it, when you buy something like a cooler tube, you don’t want to (and shouldn’t have to) spend a lot of money. Mountainsmith’s insulated cooler tubes check off all the right marks for things we expect to see in a zippered, nylon beer sling: it’s cheap, it’s waterproof, and believe it or not, it’s actually really well made. The full-length zippered outside is made of a durable 150D rip-stop nylon, while the inner layer is fully insulated with a PEVA waterproof liner. 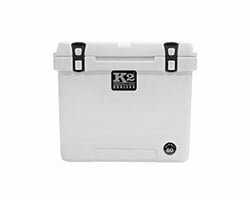 It’s designed to carry a 6-pack of standard 12oz cans, but it’ll hold three 24oz Tall Boys just as well. The tube is super comfy to carry, and at only 0.6 lbs (empty of course), it won’t weigh you down as you go about your beer-drinking activities. Sometimes you’ve just got to tip your hat to the competition and recognize good old-fashioned American ingenuity when you see it. And if a tube cooler screen printed with classic beer cans called the Beeracuda isn’t American ingenuity, we don’t know what is. The tube itself (which is manufactured by the popular snowboarding brand Burton) holds six 12 oz cans just like the Mountainsmith, and measures about 26” long x 3” wide. One of the things people love about the Beeracuda is the fact that it’s available in several different screenprints (Das Cuda, Day Tripper, Totem Print, Wing a Ding, Kalidaquilt, Camo, and History of Snowboarding). Beer cooler tubes are designed to be fun, so you might as well go as wild as you can with it and get a stylish design. However, our favorite feature overall is the extra koozie that’s fastened to the shoulder strap – not only does it let you carry an extra can, it allows for easy access to the one you’re already drinking. If you’re trying to go with the cheapest beer can cooler tube you can find, you gotta go with the Coleman. At less than 10 bucks, you’re not going to find anything better for less. Like the other tubes, this one is designed to hold a 12 oz 6-pack, but it’ll take 24 oz tall cans just as well. It’s a basic, simple, no frills design with no fancy prints or logos, but hey – a lot of times that’s all people want. One thing some people mentioned was the fact that you might get a little wet if/when your cans and the ice inside starts melting. This isn’t as nice a cooler tube as the other ones – it’s marketed as having a waterproof liner, but customer experience apparently says otherwise. Nevertheless, a nice product and can’t really complain considering the price. 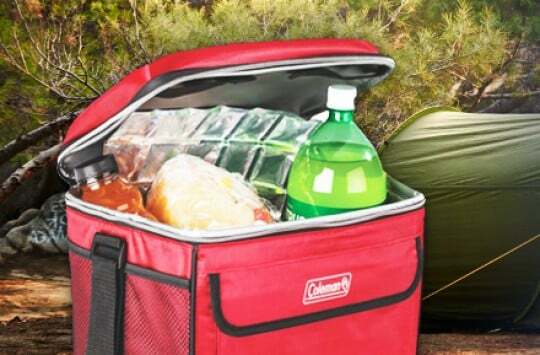 TIP: You may also want to check our Coleman cooler reviews for more line ups. This is actually a really nice, well-made insulated cooler tube – the only reason it didn’t make it as one of our top 3 picks is because it’s a little on the pricey side. Unlike the other ones, the ‘Turtle River Cooter’ includes five refreezable ‘ice pucks’ that you can slot between each can to keep them extra cold. With the five pucks the sling holds five cans, but without them it’ll hold a full 6-pack. 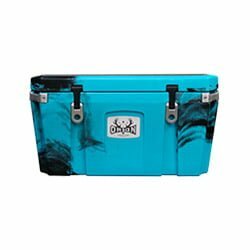 Also, just like the Burton this tube cooler has a bonus coozie that attaches to the shoulder sling with a carabiner clip, making it possible to carry a grand total of seven beers. The sling itself is made of a 4mm neoprene outside with a metal foil inner lining – considering overall quality, construction, and performance, this is actually the most well-made tube on the list. Also, a lot of people noted how comfortable it was to carry because of the thick neoprene – definitely offers a lot more padding than regular nylon, and neoprene is waterproof so you surely don’t have to worry about getting wet when everything starts melting. If you don’t already have an insulated beer cooler tube, or if you’ve never heard of/seen them before, definitely consider picking one up for you and your friends. 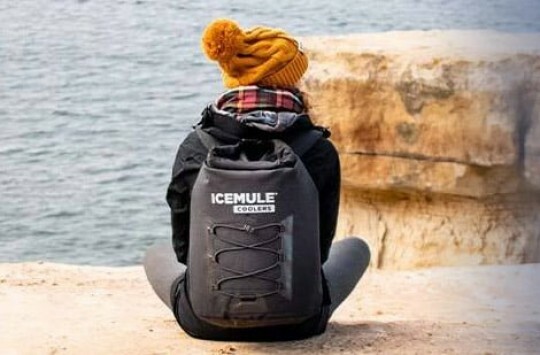 They make the absolute perfect gift for your drinking buddies, and trust us, you have no idea how much fun you’ll have and how many laughs you’ll get walking around the beach, party, or whatever with a quiver strapped to your back full of ice cold brewskis. Nope, just a comfy, functional, ingenious little beer drinking contraption. We guarantee people will be asking you where you got it. 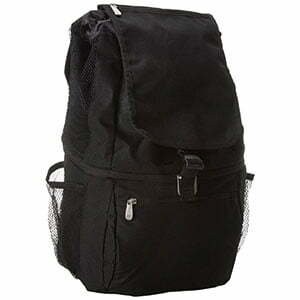 This video shows the Coleman Cooler Sleeve in action.